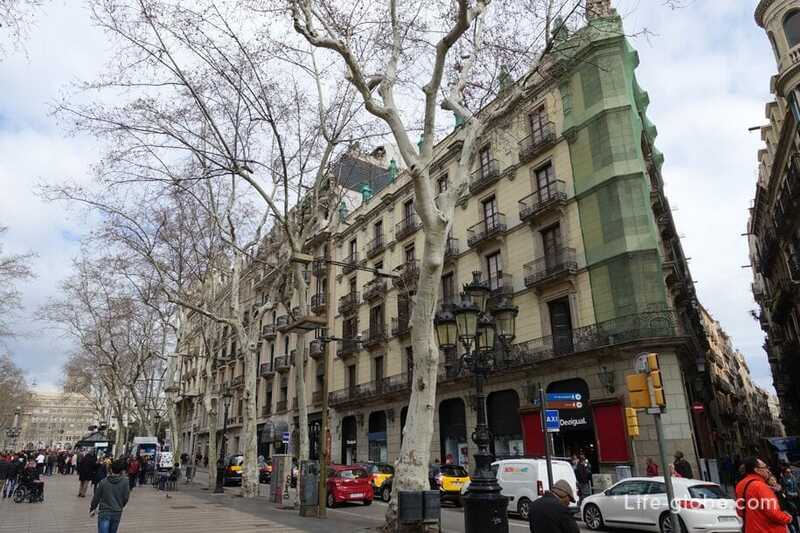 Located on the Rambla in the centre of Barcelona's Old town and separates the two quarters - the Gothic, to the East and El Raval to the West. 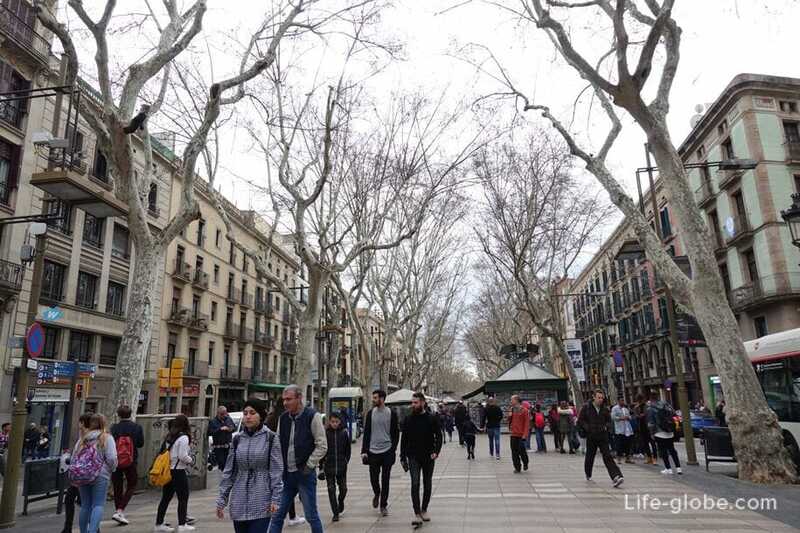 Walking part of La Rambla is decorated with plane trees. 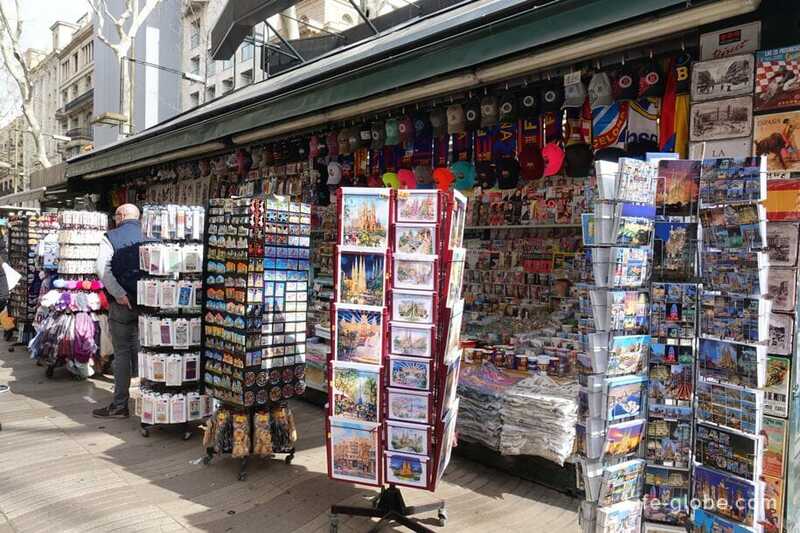 There is also an abundance of pavement cafes and souvenir kiosks, and guests of the city are entertained by street performers. 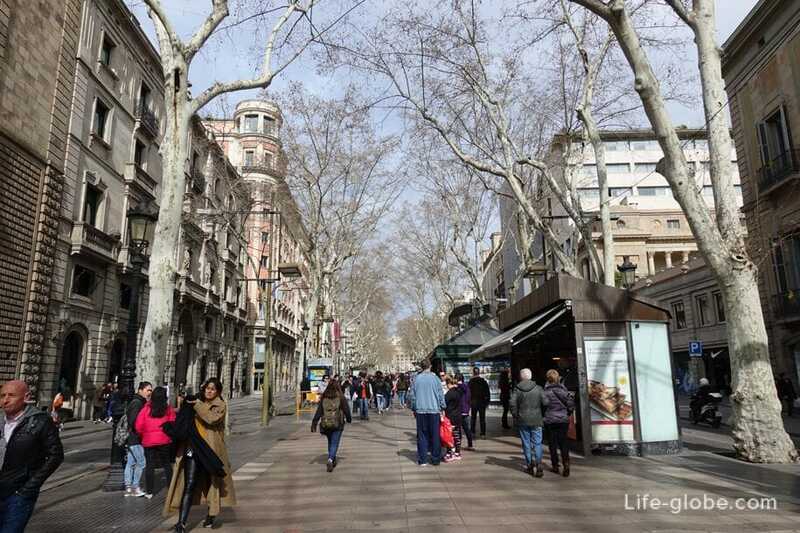 Alley of La Rambla originates from the square Portal de La Pau, where the famous Christopher Columbus monument and stretches for 1.2 kilometers - Plaza Catalunya. 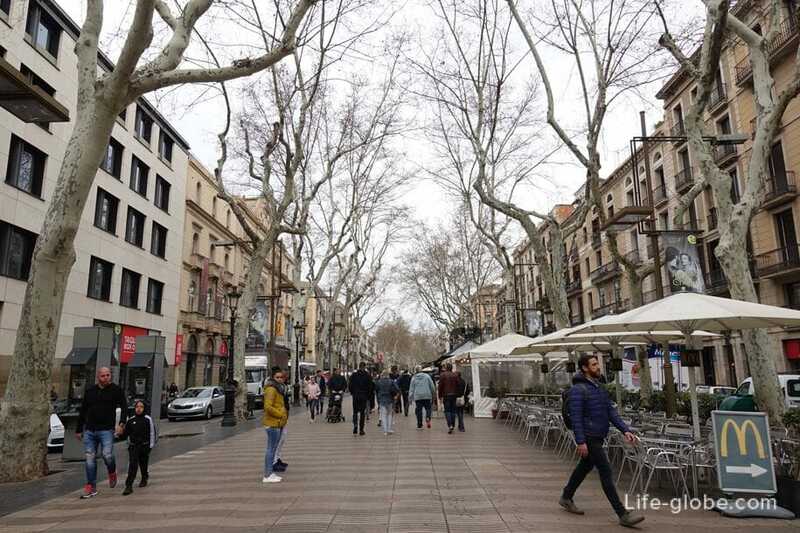 Since each of the avenues has its own name, then the street of La Rambla, in the plural form is also called: Catalan Les Rambles, in Spanish - Las Ramblas. 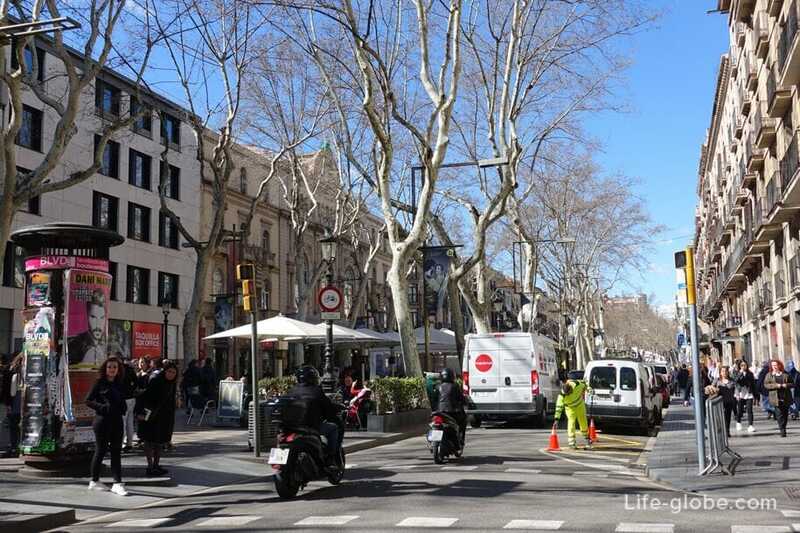 Rambla Santa Monica (Rambla de Santa Monica) - the initial big Rambla street, Rambla. 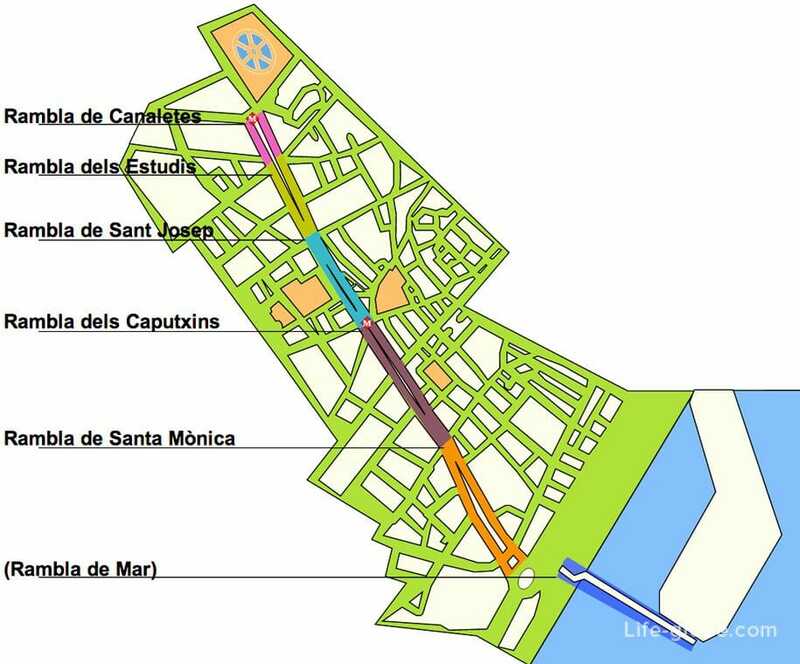 Rambla St. Monica originates from the Columbus monument and is named in honor of the Santa Monica convent, which now houses an art center (Arts Santa Monica). 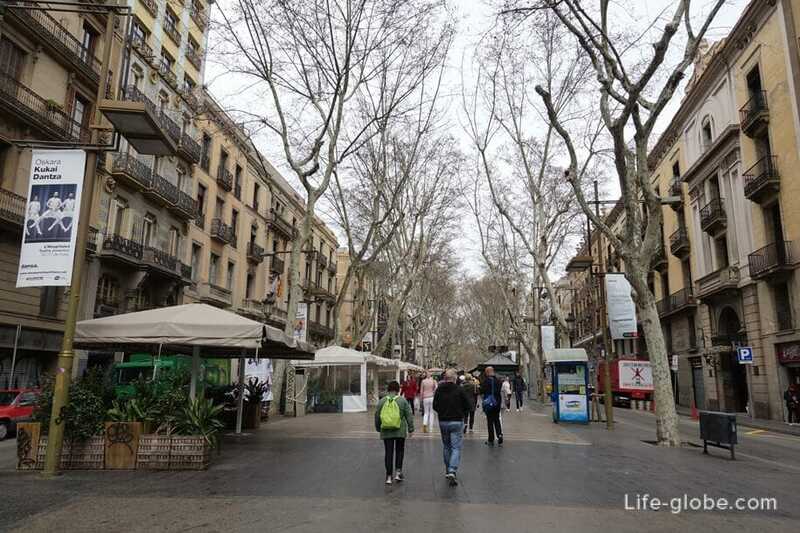 Rambla Santa Monica ends at the square Theatre, where on the right side, you can see the monument to the dramatist and poet Frederic Soler, and the left - the oldest theater in Barcelona - Teatro Principal theatre (Teatre Principal). 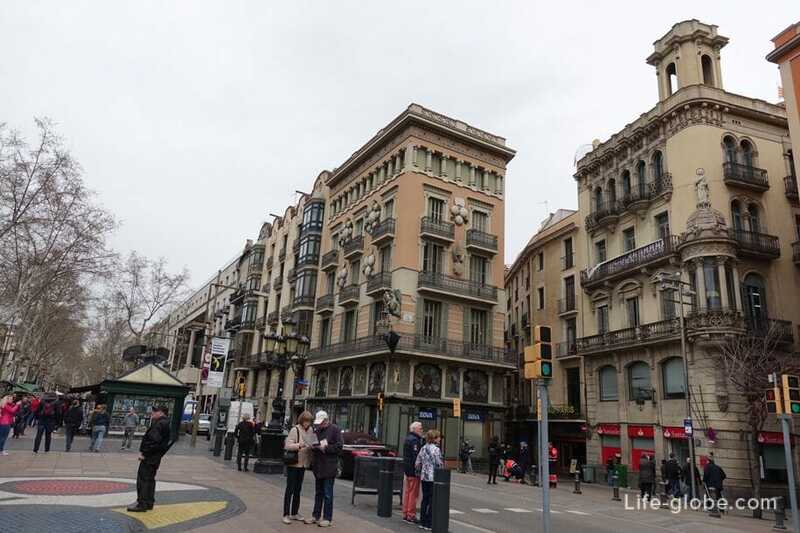 The Plaza Theatre originates Rambla of the Capuchins (Rambla dels Caputxins) - the site of a former Capuchin monastery, which is now the Opera theatre of the Lyceum (Gran Teatre del Liceu). 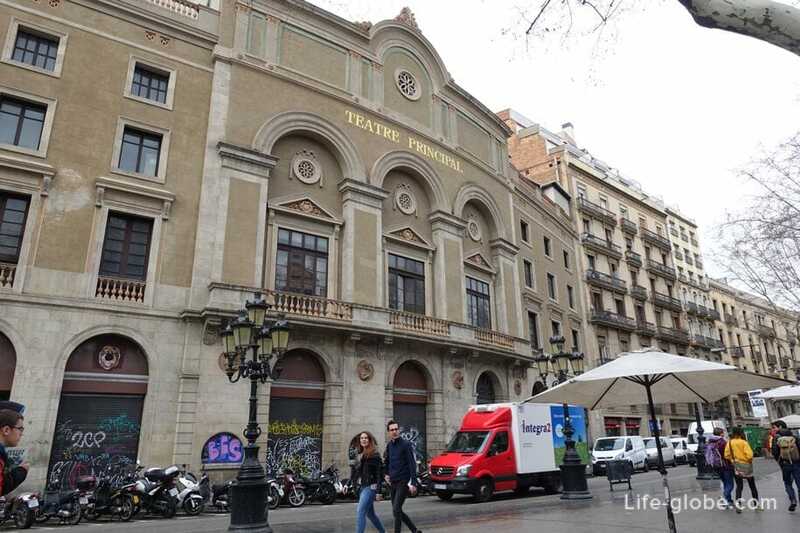 Grand theatre Liceu opened on 4 April 1847 and is one of the most important theaters of Spain, as well as the main attraction and decoration of the Rambla of the Capuchins. 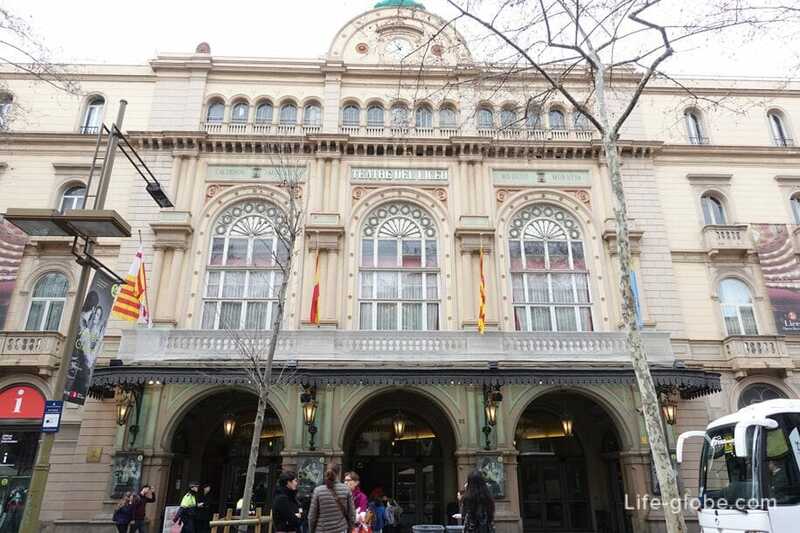 Adjacent metro station Liceu is named in honor of the theater. 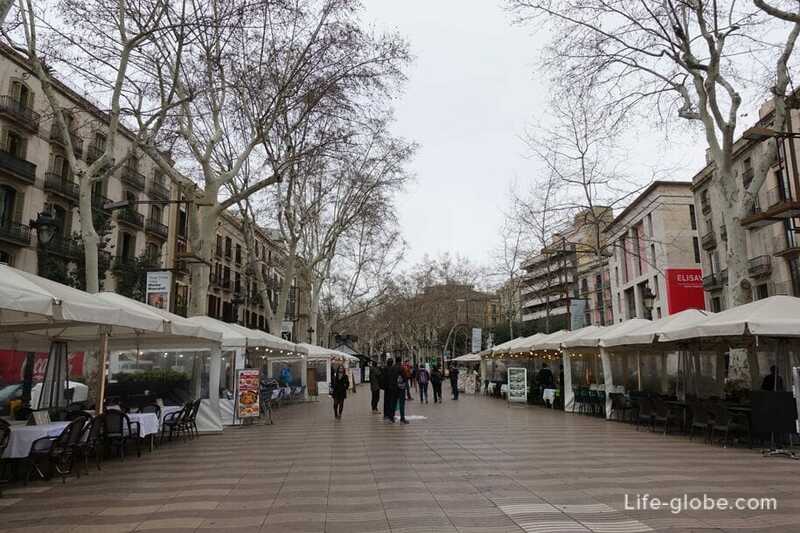 Colors Rambla (Rambla de les Flors) or St. Joseph's Rambla (Rambla de Sant Josep) is a part of La Rambla, lined with stalls of flowers. 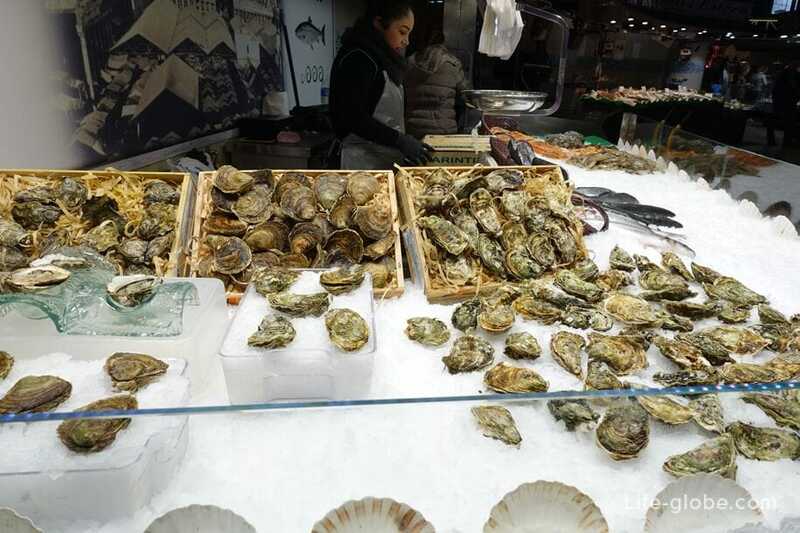 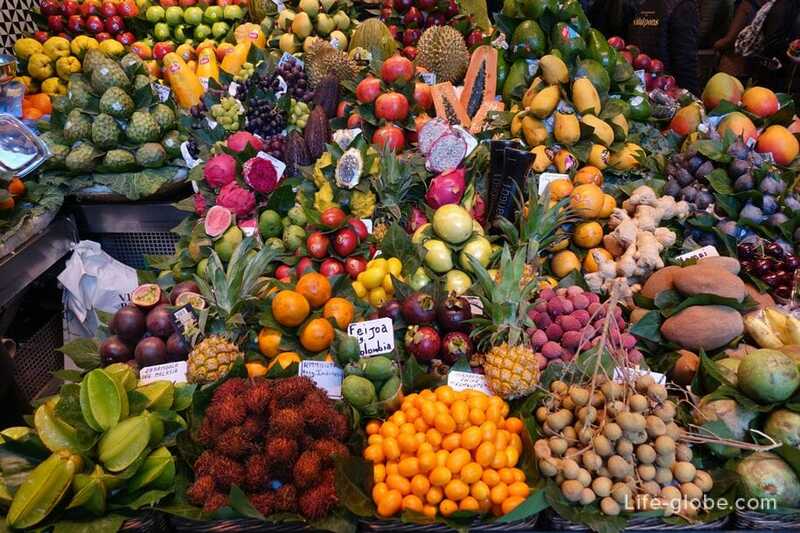 - market Boqueria or Sant Josep (Mercat de la Boqueria) is the most famous market of Barcelona. 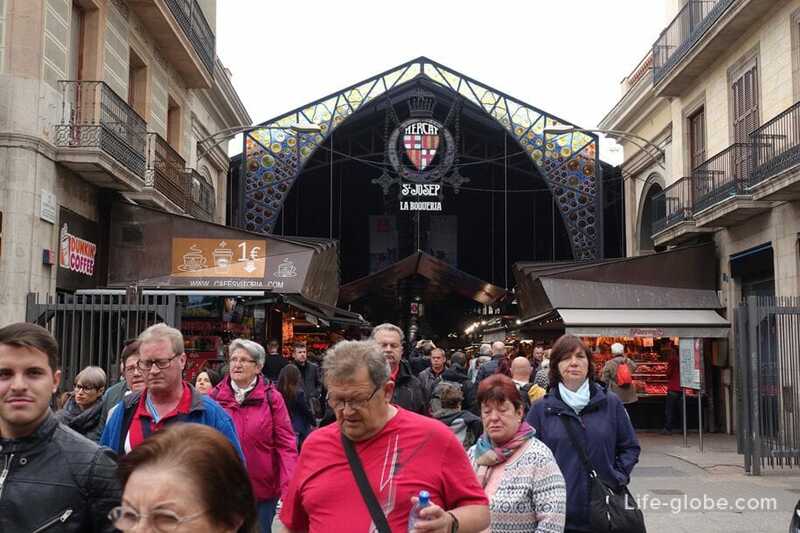 The Boqueria market has an area of over 2,500 m2 and is fully made of glass and steel. 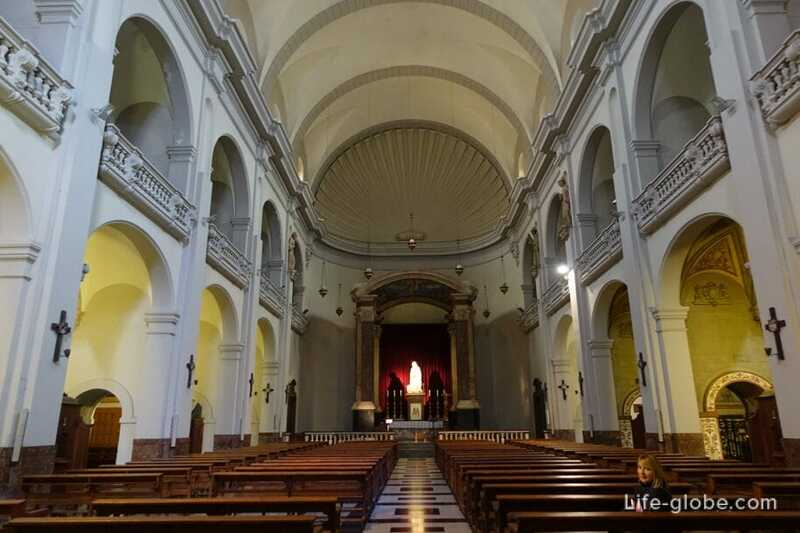 - a historic building in the Baroque style Palace Virreina (Palau de la Virreina), built between 1772 and 1778 he is Now in the walls of the Palace is an artistic-cultural centre. 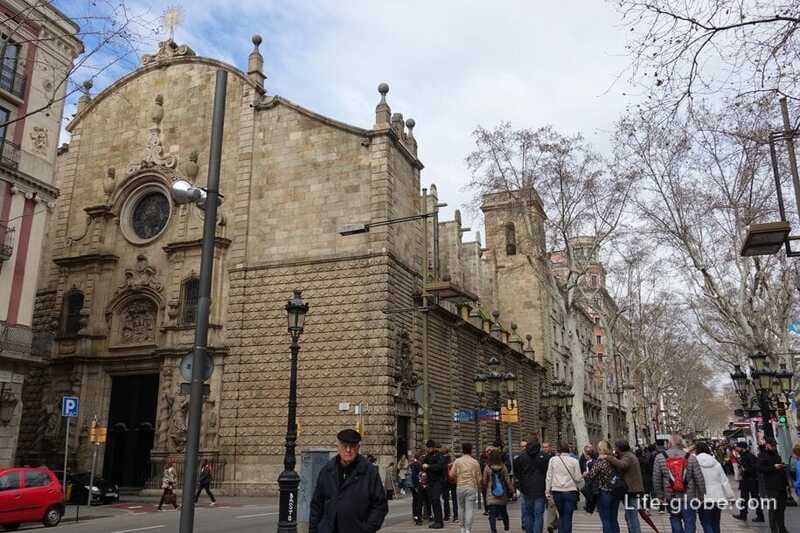 Exercises or Rambla Rambla dels-Estudis is the site of the former Jesuit University, whose only remainder is the Baroque Church of the virgin of Bethlehem, built by the architect Juli Josepa about 1681 (Parroquia de la Mare de Deu de Betlem). 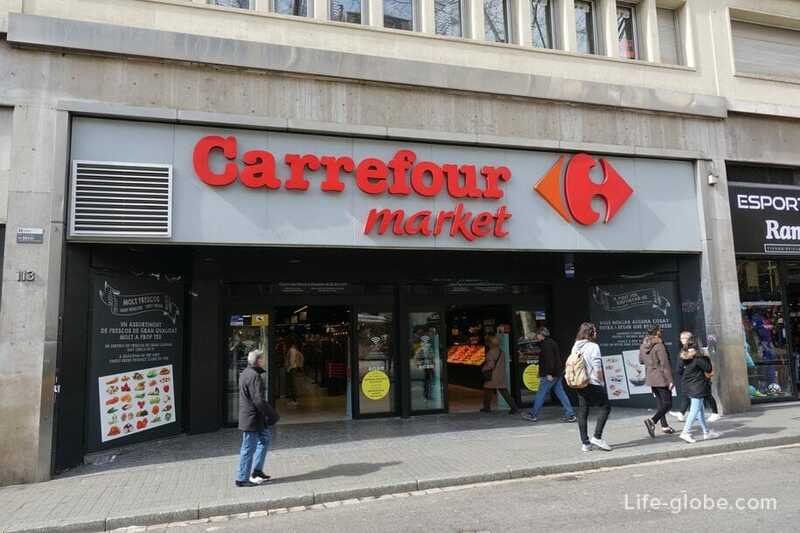 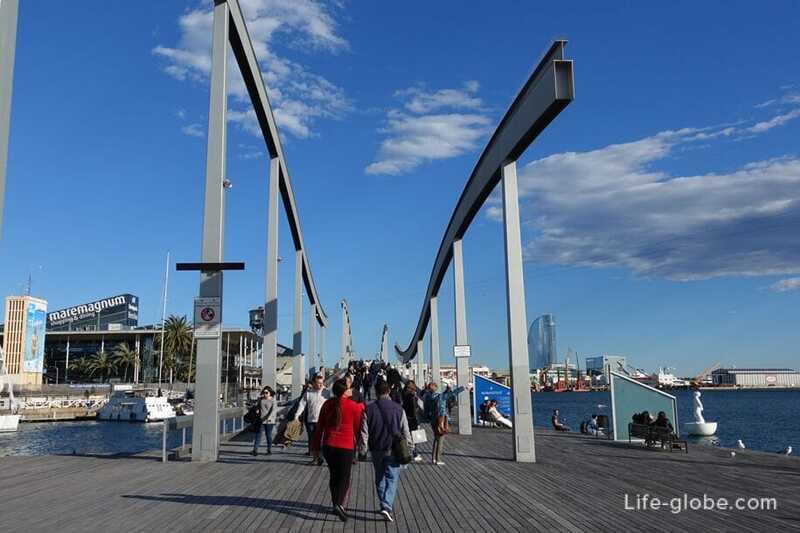 Also on this stretch of the Rambla there is a large supermarket Carrefour (Carrefour Market), with two floors and a large choice of food, including ready meals. 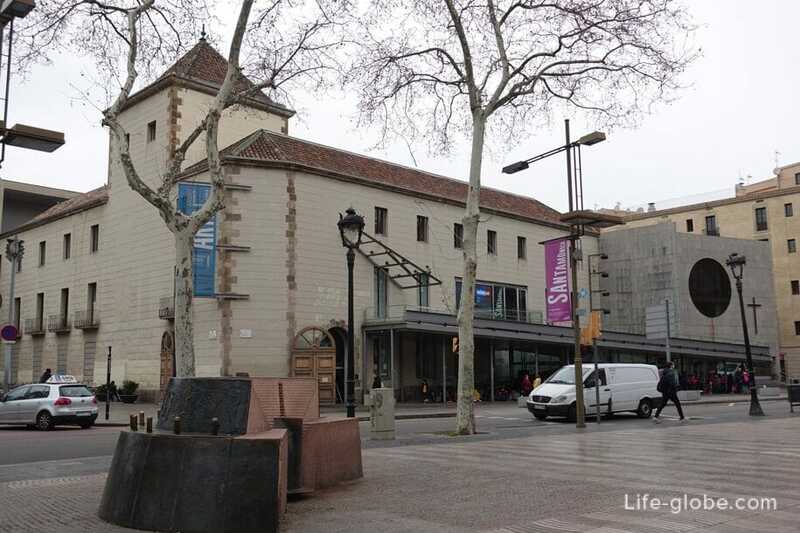 Along with the Church of Bethlehem undoubted decoration of the teachings of the Rambla stands the theater "Poliorama" (Teatre Poliorama). 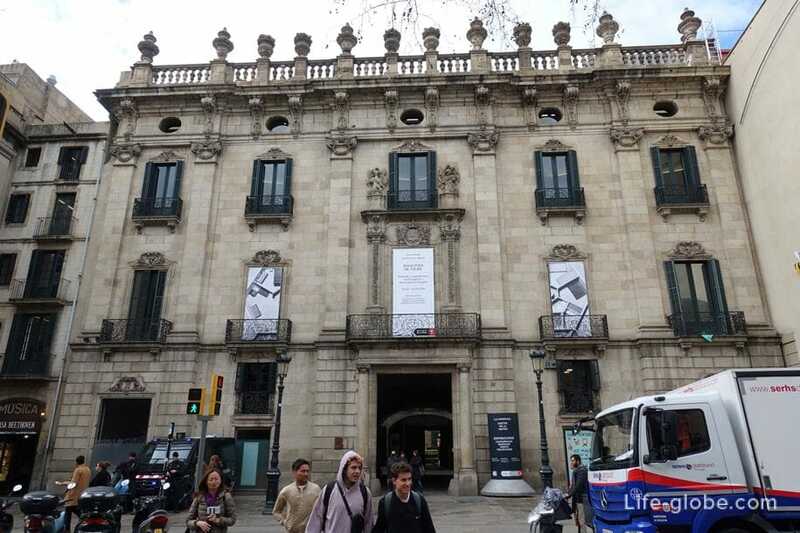 Theatre "Poliorama" is a former cinema, located on the ground floor of the Royal Academy of Sciences and arts of Barcelona. 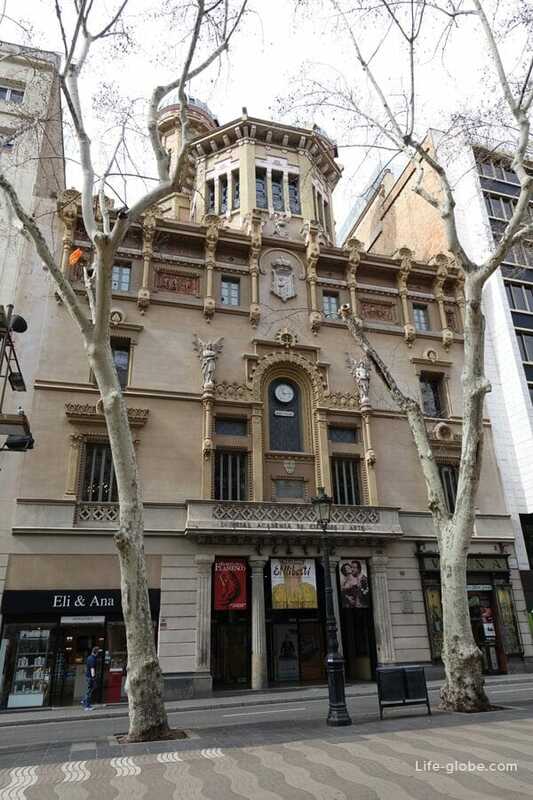 Opened in 1899 as the cinema, and since 1982 works as a theatre. 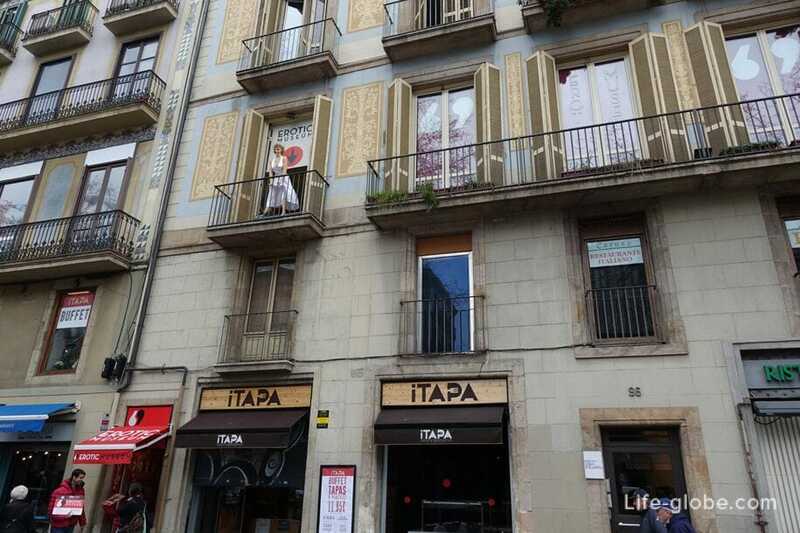 Between 1937 and 1939 the theatre Poliorama Navigli name Theatre Catala de La Comedy. 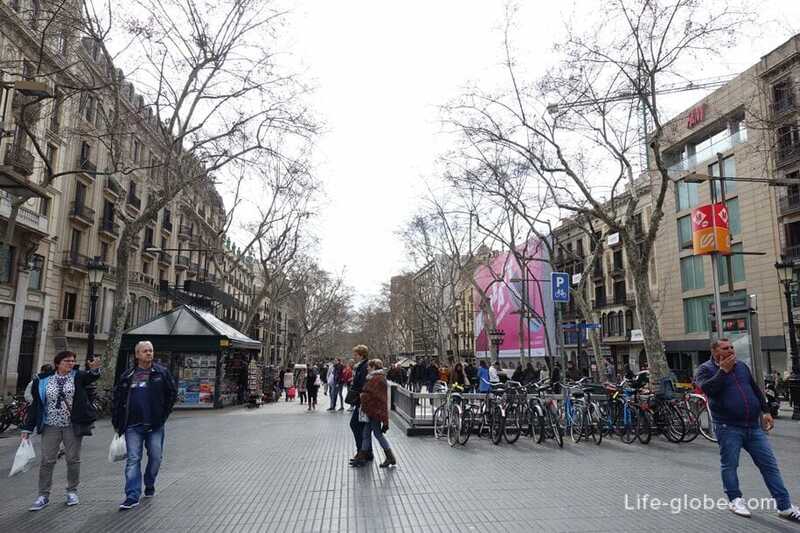 Canaletes Rambla (Rambla de Canaletes) is the last and final Avenue of La Rambla. 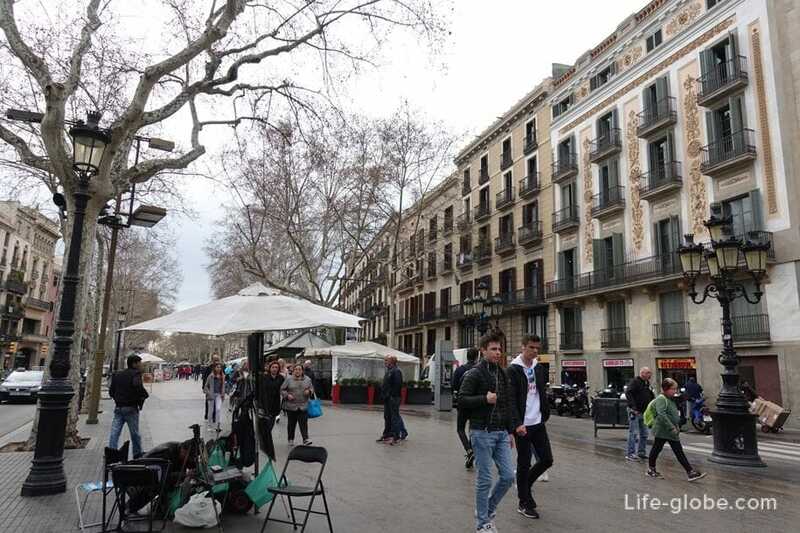 The eponymous fountain (Font de Canaletes), located on the stretch of La Rambla, is an integral part and an attraction of Las Ramblas, Canaletas. 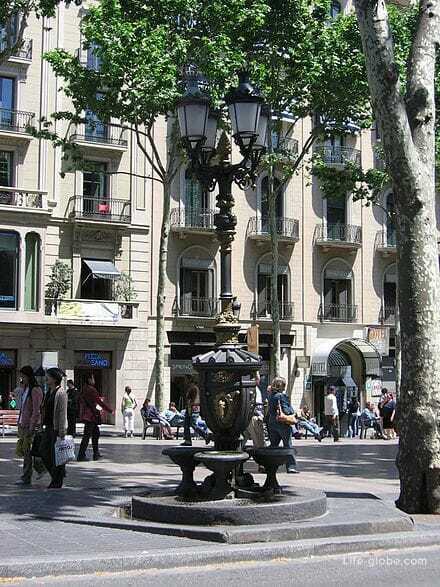 Canaletes fountain - an ornate fountain, crowned by a lamp post and one of the symbols of Barcelona. 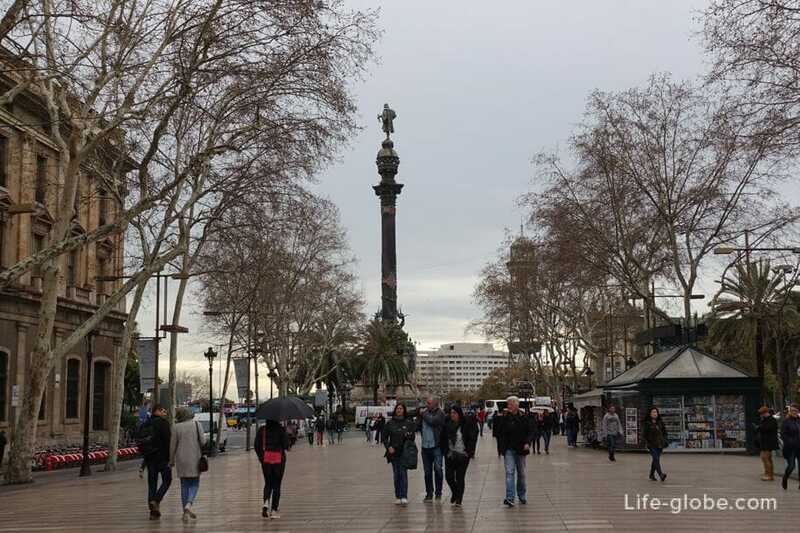 Legend has it that he who drinketh from the Fountain de Canaletes, soon will return to Barcelona. 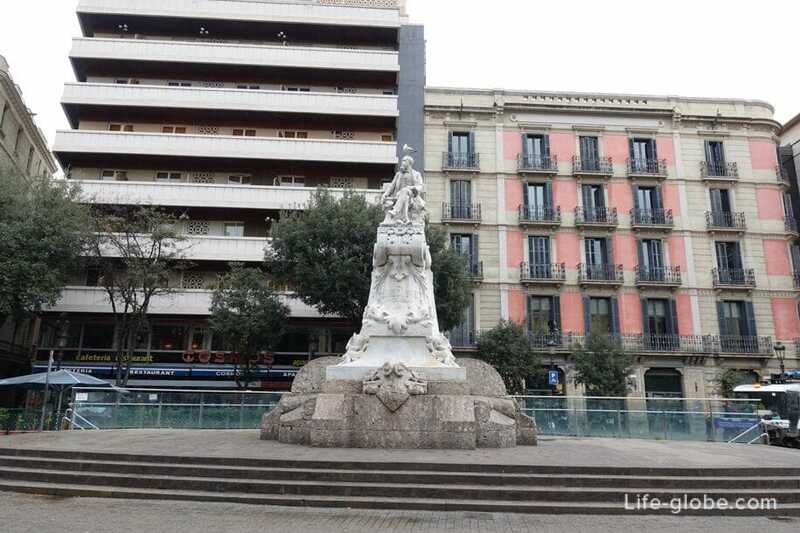 This fountain is a meeting place, both for locals and for tourists, near which are also going to the fans to celebrate the victory of the Catalan team, Futbol Club Barcelona (Barça). 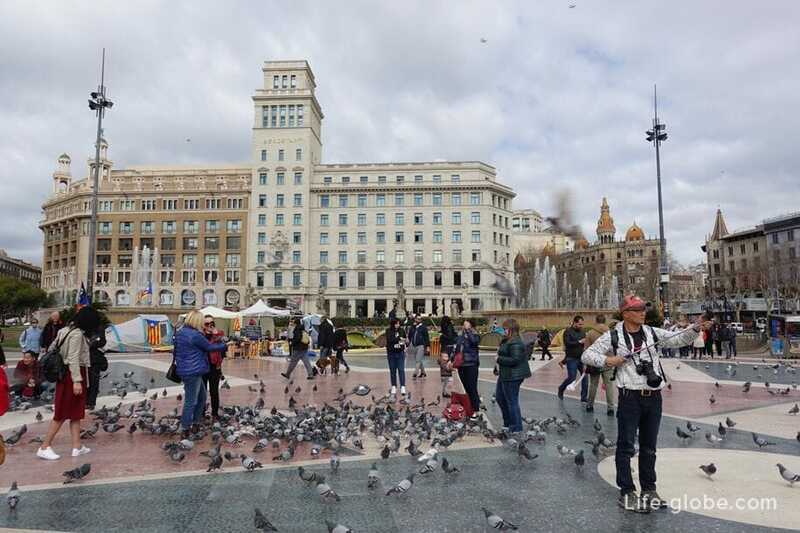 Currently, the fountain Canaletes has become one of the most visited attractions of Barcelona. 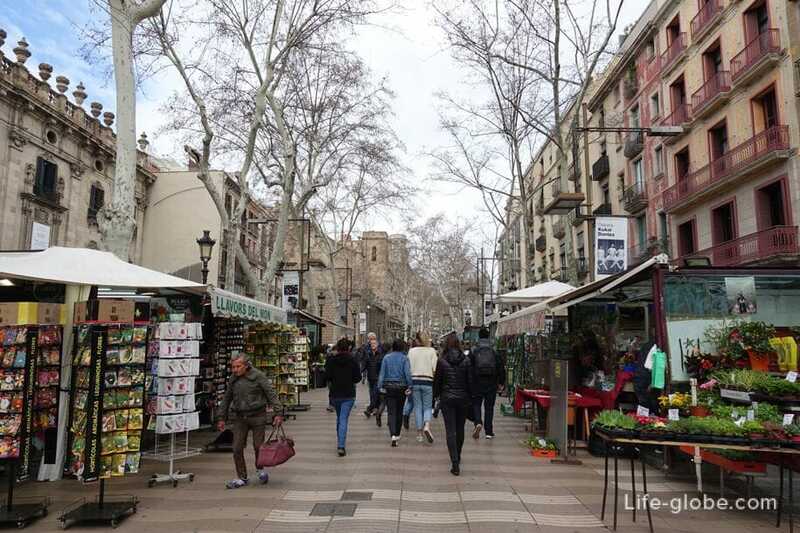 It also hides a history that is closely linked with the water of the old town. 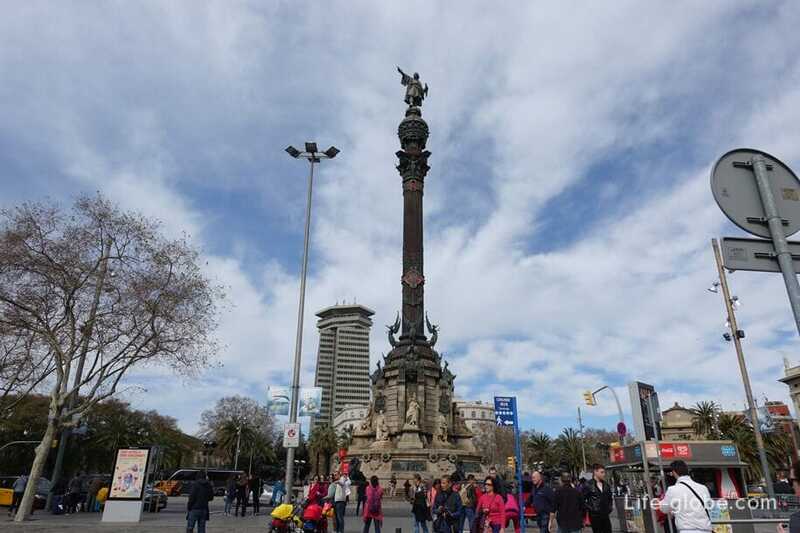 The fountain is named after the Northern wall of the city (since the 14th century), called Canaletes, because of water pipes that went through it, and supply water to the old city of Barcelona. 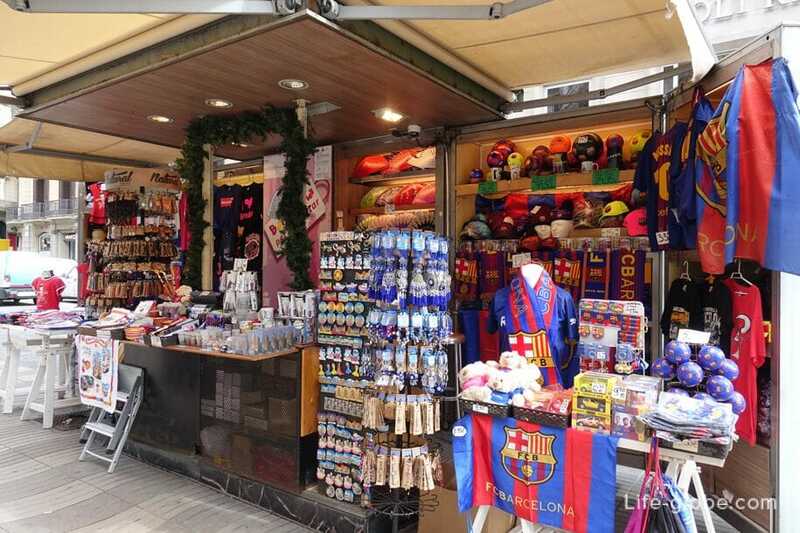 In this part of La Rambla is concentrated mainly clothing stores of famous brands. 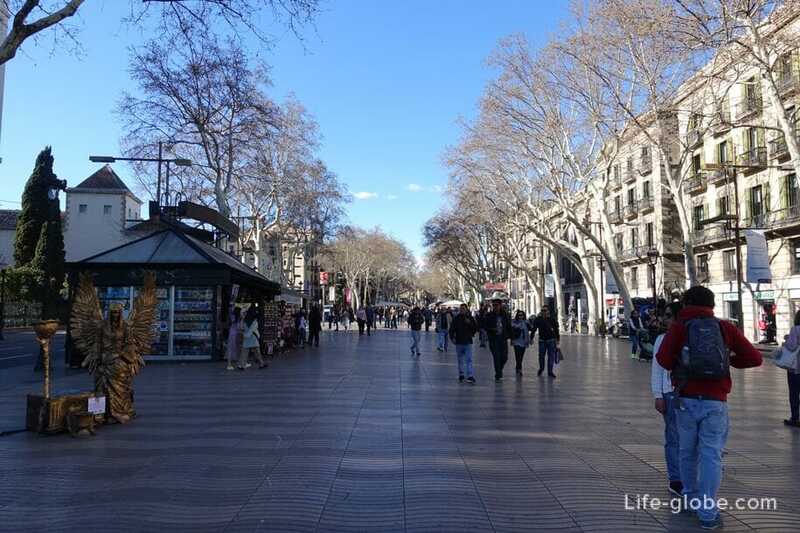 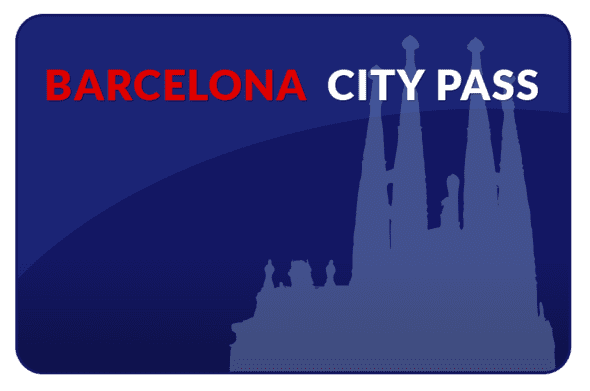 And for Canaletes Rambla is located the largest area of the tourist centre of Barcelona - Plaza Catalunya (Placa de Catalunya), which, as a rule, marks the city center and the place where the Old town and the Eixample district, built in the 19th century.